Filmmaker Rohit Shetty is one of the most popular and the most wanted filmmakers in Bollywood. His latest film Simmba is on its way to become the highest grossing film of his career. 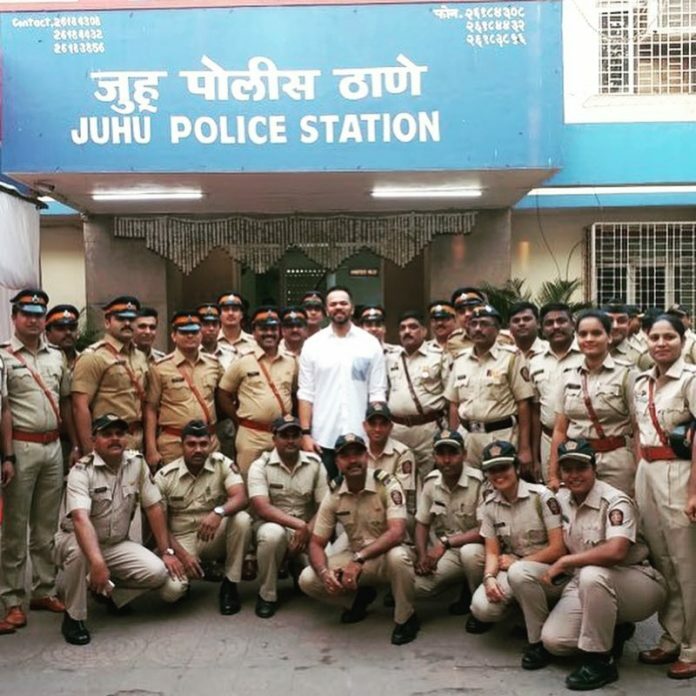 The director, who has mostly made films on cops, won the hearts of the Mumbai Police at the annual cultural festival Umang 2019 where he donated Rs. 51 lakhs to the Mumbai Police Welfare fund. Reports say that the filmmaker donated a part of his earnings from his latest film Simmba. In which Ranveer Singh can be seen playing the role of a cop named Sangram Bhalerao. The filmmaker had handed over the cheque along with Akshay Kumar, Ranveer Singh and Ajay Devgn to the Commissioner of Police at the event. Shetty’s most successful films have featured a cop as the central character. Some of his films like Simmba, Singham, Singham Returns, and others have done a good business at the box office and has also won praises from the film critics. The annual festival Umang 2019, like every year was a star studded affair and the ones who attended the event included Amitabh Bachchan, Janhvi Kapoor, Sara Ali Khan, Madhuri Dixit, Karisma Kapoor, Urmila Matondkar, Sushant Singh Rajput, Raveena Tandon and others. Rohit Shetty is currently preparing for his upcoming venture Sooryavanshi which will star Akshay Kumar as the cop as the ATS chief.